Investors who can't get needed information on their phones may decamp to rival firms. 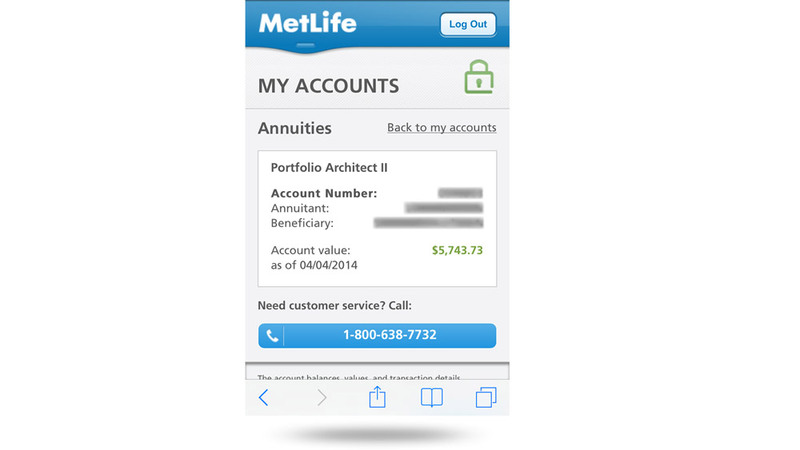 Here are six financial firms with a standout mobile experience. Americans are increasingly accessing the web from their mobile phones, and investors who can’t get the information they need or perform the transactions they’re seeking may quickly migrate to more mobile-friendly rivals. That’s why Boston-based research firm Dalbar rated 48 financial services company apps, according to 11 distinct evaluation categories including design, security, mobile optimization, ease of use, personalization/customization, support, interaction with the firm, interactivity, navigation, core content and behavior centric. Just three mobile sites rated excellent, and another three rated very good — one of each in the mutual fund, insurance/annuity and retirement website categories. Here are six mobile sites that succeed in engaging the growing on-the-go segment of the population (starting with the three firms rated very good, followed by the three attaining excellent ratings). The ability to interact for simple two-way communication between firm and investor is critical, and Putnam Investments excels particularly in Dalbar’s “interaction with the firm” category. 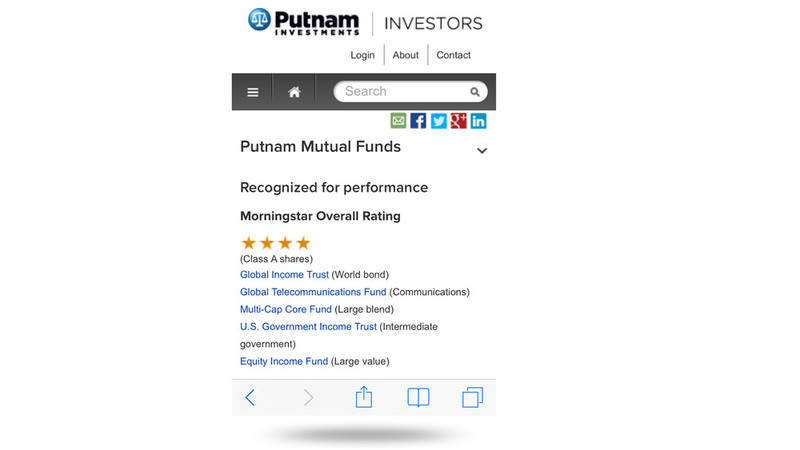 Be it an email form, links to official social channels, old-fashioned phone numbers or the ability to download forms and complete applications from one’s mobile device, Putnam Investments’ responsive design provides a user-friendly experience. A potential deterrent to using an account on the go is the difficulty of remembering the account credentials for investors’ various accounts. Not every mobile user wanting to use a financial site can do so without occasional support. Great-West stands out in this category, offering “content-based help throughout its mobile site via small, interactive gray question mark icons. Once tapped, an overlay box appears with helpful, relevant information specific to that topic,” writes Dalbar. Investors searching for market insights, fund information or wanting to perform a transaction are hardly likely to proceed if they don’t know where to go or can’t read the text. 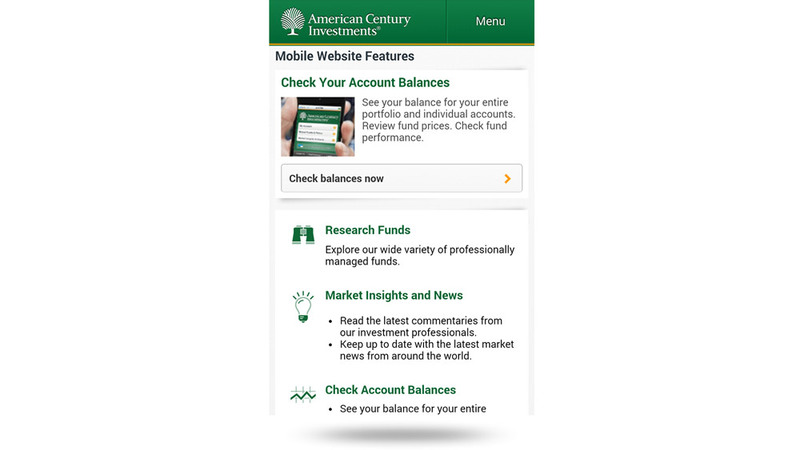 But American Century’s cleanly designed and well thought out user experience differentiate the firm’s mobile site from blurry competitors. For example, the firm discretely provides users the option to to intentionally show a typed password as a means of avoiding klutzy typing errors, while maintaining a privacy default in case someone’s looking overhead. 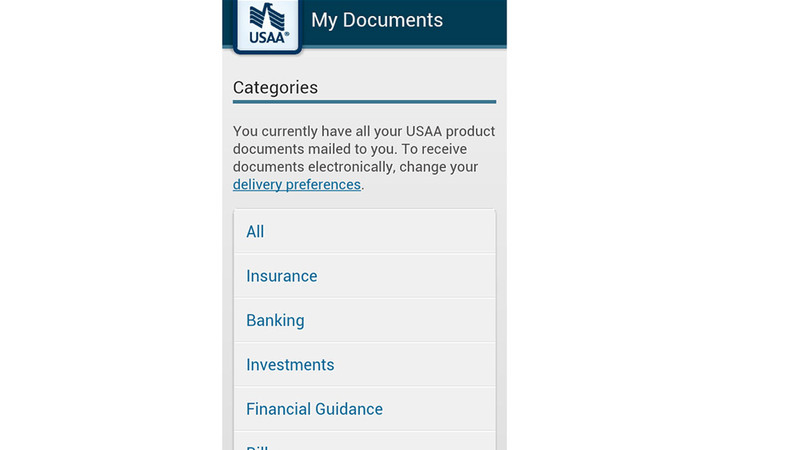 USAA’s mobile site is a real head turner, says Dalbar, and highly functional. Dalbar’s report also praises USAA mobile site’s member community, which allows users to post articles or vote, comment and search those of others. This highest-scoring mobile site won the hearts of Dalbar’s analysts in part as a result of its superior layout across multiple mobile devices. 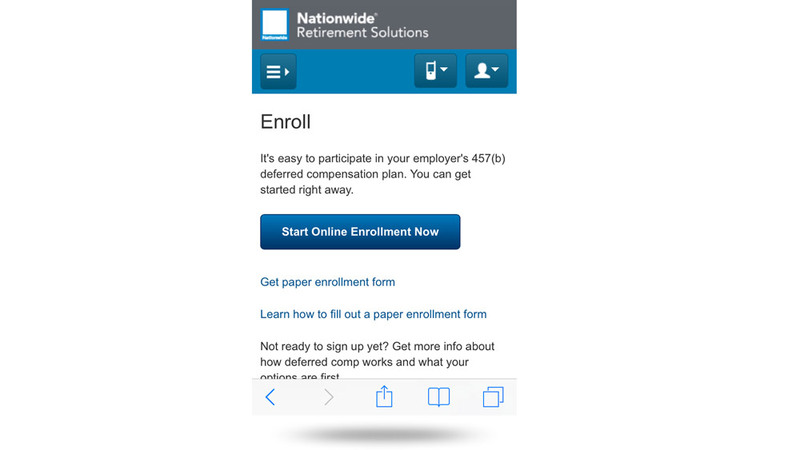 “From account information to transactions, this mobile experience is simple, straightforward and easy to master as the roll out menu options appear exactly the same across various devices,” Dalbar writes. 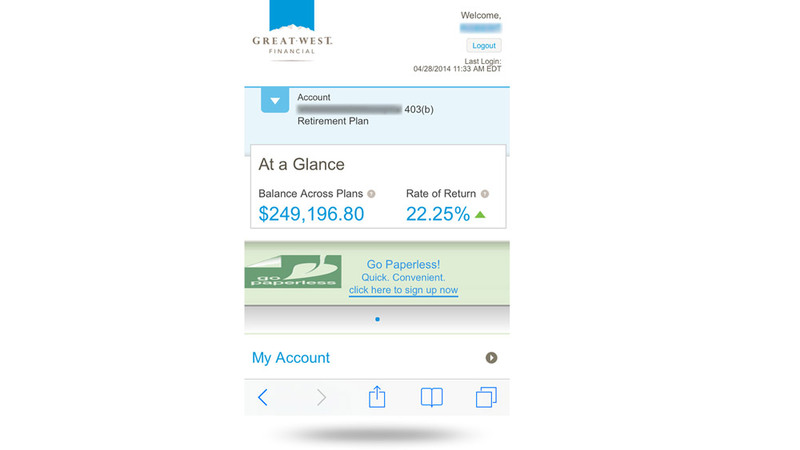 The volume of such account information can be challenging to present, but Nationwide Retirement Solutions makes the details accessible through multiple tabs, each with its own drop-down menu accommodating viewable information such as account activity, balance history and more.